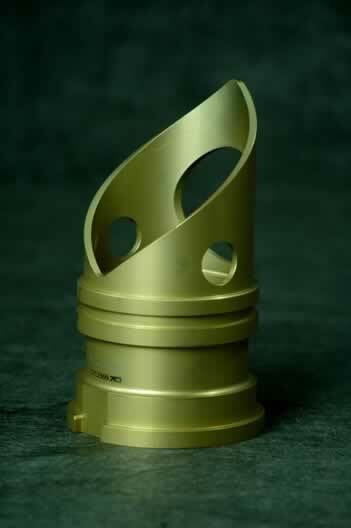 A brass machined part used in a commercial helicopter. A good example of combined lathe and mill work in a medium sized component. Brass is one of the easiest metals to machine, and no one does it better than Portland Precision Manufacturing Company. With many years of experience and proven expertise, our brass machining capabilities enable us to deliver high precision parts and components that match your design specifications. We utilize advanced brass CNC machining technology to ensure perfect precision and repeatability, whether you need a handful of prototypes or full production runs with quantities in the tens of thousands. No matter how simple or complex your design may be, Portland Precision’s brass machining services will give you the flawless parts your project requires. An alloy of copper and zinc, brass is cost-efficient and highly durable, and exhibits excellent heat and corrosion resistance, making it an ideal substitute for a number of other, more costly metals and alloys. With its low coefficient of friction, brass is the preferred material for applications such as gears, locks, bearings, and the like. It is naturally antimicrobial, making it well-suited to medical applications. And, because it is non-sparking, brass is commonly used to make components for use in potentially explosive or flammable environments. The team at Portland Precision has decades of combined experience in brass machining, and can deliver precision parts with tolerances of ±0.0005” or better. We work with all grades and alloys of brass to produce everything from pipe fittings to components for advanced electronic devices. Please contact us for specific material questions or if you require a specialty grade or alloy. We also offer a range of secondary operations to give further value to our brass machining services. As needed, we can provide heat treating, surface finishing, and more to save you time and money on your project. Make Portland Precision your first choice for precision brass machining. 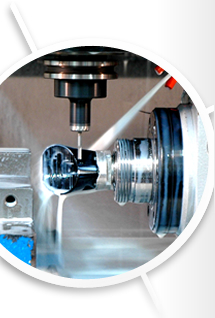 We have the skills and the knowhow to deliver high quality, tight tolerance parts that meet your unique requirements. Request a quote on brass CNC machining or contact us to discuss your project.